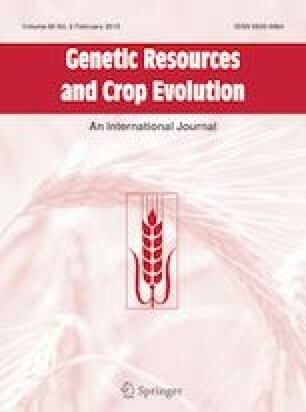 The domestication syndrome of wheat was based on genetically-mediated mutation(s) in reproductive traits with no due consideration to traits that comprise the plant “phenome” as an abstract expression of phenotypic architecture and a central component of the plant phenotype. The first of multi-part study reports on genetically and phenotypically variable germplasm source of diploid einkorn (Triticum monococcum L. subsp. monococcum) and tetraploid emmer wheat [Triticum turgidum subsp. dicoccon (Schrank) Thell.]. The germplasm was phenotyped for architectural (plant, tillers, leaves) and reproductive (spike, spikelet, and kernel) components of its phenome to quantify, describe, and contrast plant architecture of both species, and estimate the level of genetic divergence of emmer from einkorn due to polyploidy. Inter-specific variation for all architectural and reproductive components exhibited significant differences; while, intra-specific phenotypic variation estimates in both species decreased as follows: kernels > spikelets > spikes; and smaller values were estimated for leaves > plants > tillers. Diploid and tetraploid architectural modules, expressed as loadings on principal components, were significantly different; einkorn and emmer were 97.1 and 89.8 correctly classified, respectively, and were significantly separated at a multivariate level (Mahalanobis D2 = 127.5; p < 0.001). More traits exhibited larger magnitude and expressed larger genotypic variation due to polyploidy; however, phenotypic and genotypic variation, as well as heritability of these traits displayed different patterns, with large differences found for leaf area index and tillers per plant between species. Reduced major axis analysis of inter-specific functional relationships suggested that phenotypic and reproductive traits were divided almost equally between allometric and isometric patterns. Paired comparisons between species suggested that relationships between spikelet and kernel traits in each species were close (r = 0.54–0.97; p < 0.05). However, the magnitude of trait estimates in pairwise comparisons between ploidy levels were not in unison; the magnitude of almost all spikelet traits, but not kernel traits in emmer exceeded their counterparts in einkorn. Polyploidy caused phenotypic increases in traits that can support larger grain yield, including stems, peduncles, leaves and spikes, but not tillers; whereas, the species varied in the magnitude and distribution of genetic variances across their multivariate phenome space. Indicators were identified for the development of novel hulled wheat idiotypes with larger yield potential and wide adaptation. The online version of this article ( https://doi.org/10.1007/s10722-018-0729-z) contains supplementary material, which is available to authorized users. This research was supported by USDA Project Number: 5060-21220-005-D. Thanks are due to support staff at the North Central Soil Conservation Research Lab, Morris, MN. USDA is an equal-opportunity provider and employer.